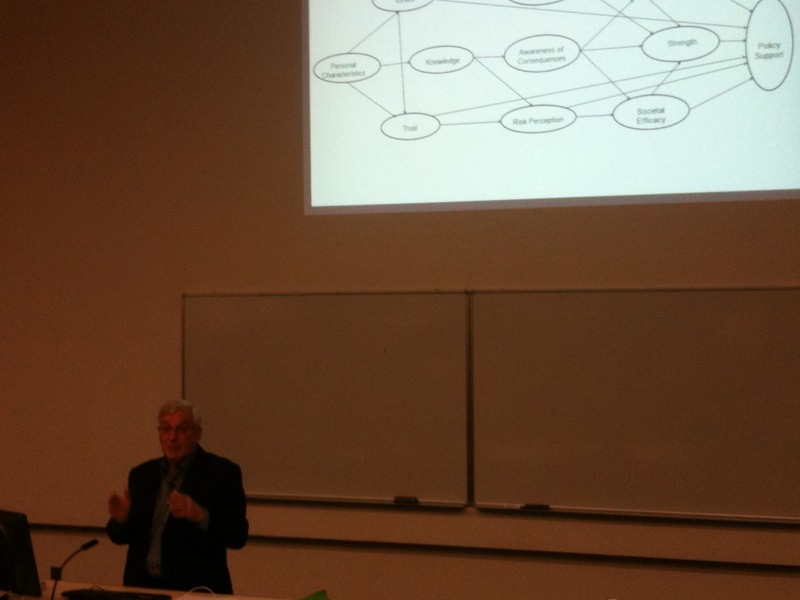 This week I went to two talks by Professor Geoff Syme from Edith Cowan. He presented a social psychological approach to climate change and water allocation. 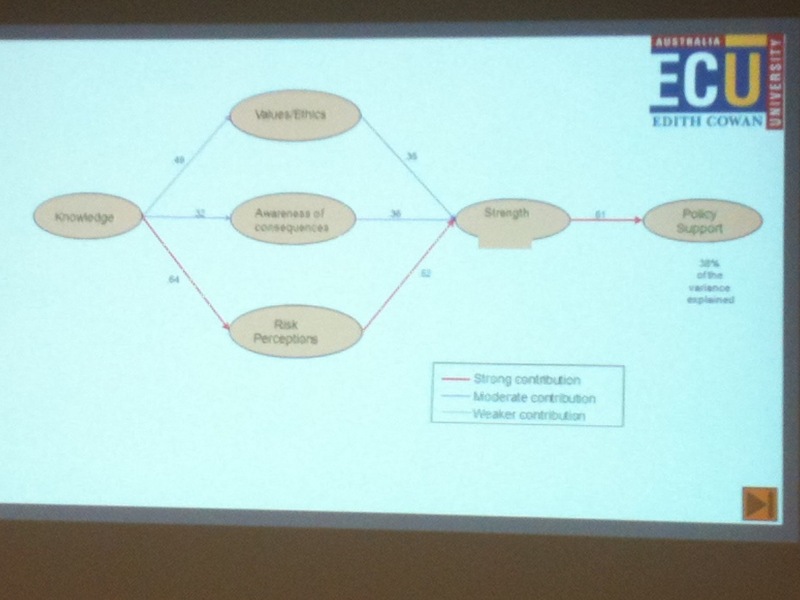 In the first talk Syme developed a model of factors affecting support for Climate Change policy. The model includes knowledge, awareness of consequences, personal pro-environmental norms, personal and societal efficacy and so on. They then tested this model with a large study of household perceptions in Western Australia. An important finding is the relationship between personal efficacy and societal efficacy – in short: there is a big disjunction between what we believe we can do ourselves, and what the leaderships thinks we a capable of. Syme argues strongly that we should trust communities. The resultant structural equation model shows significant pathways. Factors affecting support for include: knowledge, ethics, awareness of consequences, risk preceptors and strength of belief.